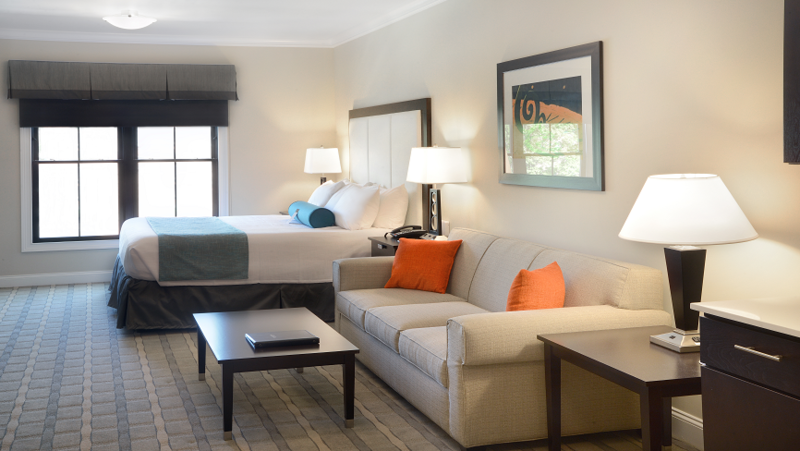 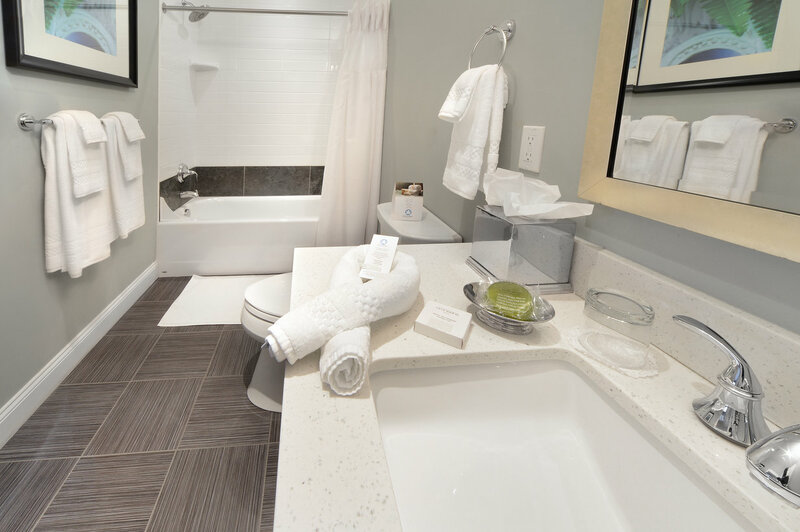 Our beautiful Signature Studio Suite with Terrace is among the most spacious hotel rooms Saratoga has to offer. 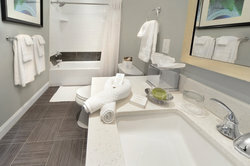 Each suite features a sleek, contemporary design punctuated with vibrant colors and plenty of perks including hand-tiled bathrooms, a king-sized bed, sleeper sofa, a full kitchen with solid surface countertops and stainless steel appliances, a washer and dryer, a kitchen island with pendant lighting, and much more. To make this your ultimate retreat in Saratoga Springs, relax in front of the 55” TV in the living room, our step outside to your very own private balcony terrace. 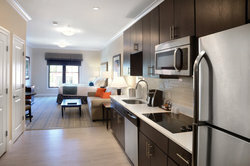 Open the door for a refreshing breeze, or enjoy the day on the outdoor furniture provided.